The gorgeous and fast-growing Greenville, SC, is where Crockett Doodles started with Dr. Nathan Crockett, his family, and several of his friends. 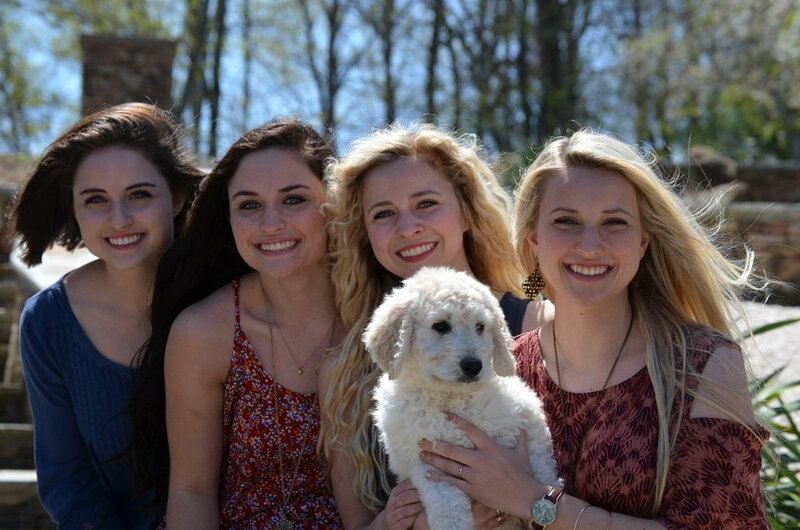 Many families who adopt a doodle puppy from Crockett Doodles travel to Greenville, SC. We do offer a personal hand delivery service from our partner house to you for a flat rate of $345 to anywhere in the U.S. ($100 for each additional pup) or 70 cents a mile (if that’s cheaper). 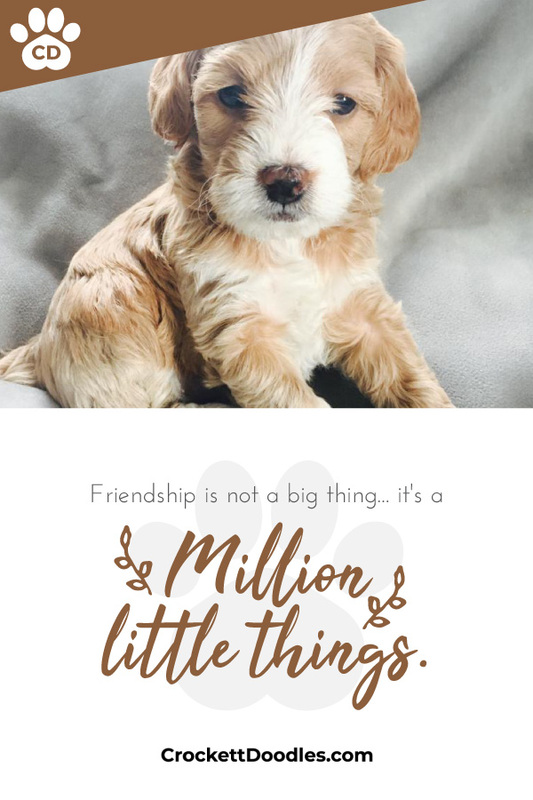 For the Southeast, we also have partner homes in Charleston, SC, Charlotte, NC, Kinston, NC, Raleigh, NC, Greeneville, TN, Johnson City, TN, and Atlanta, GA where families can pick up their puppy. We’re currently in conversations with quality families in Nashville, Virginia, West Virginia, Alabama, and Florida. Every week we hear from additional families wanting to be a partner home, and we’re typically able to work with only about 5 percent of them. Pastor Isaac Crockett lives in Corning, NY. Isaac and some of his family friends started the Crockett Doodles program in Allentown, PA and have expanded it to Corning, NY. We also have a wonderful pickup location with a Christian camp at State College, PA. As the number of Crockett Doodles partner homes in the mid-Atlantic has grown, we’re now able to offer each of the Crockett Doodles breeds in the mid-Atlantic with the exception of Pyredoodles and Swiss Doodles. We’re working with future partner homes in New Hampshire and wanting to establish locations in NJ, MA, and CT. Of course, puppy can be hand delivered to you for a $345 flat fee (or 70 cents a mile). Over the past seven years, we’ve added many new partner in the Midwest. Although the auto industry might have left Detroit we're excited to see our Detroit Crockett Doodles program grow with several professionals in the Detroit suburbs who are Crockett Doodles partner homes. Recently Pastor Joe Fant moved his family from the Carolinas to South Bend, Indiana to pastor a great church there. So we’ve watched our network expand to the Hoosier state (along with Matt Tracy in South Bend). Nathan Augustus directs our Terre Haute, IN pick up location (just a couple hours from Saint Louis, MO, and Louisville, KY). Our good friends, the Scheers moved with UPS management from Greenville, SC to Cincinnati, OH and took their beloved Swiss Doodles with them. We’re also talking with some friends in the Chicago suburbs about opening up a Chicago branch of Crockett Doodles. In the next year, Goldendoodles, Aussiedoodles, Labradoodles, Bernedoodles, Newfiedoodles, Swiss Doodles and Cavapoos should be available in Michigan, Illinois, Indiana, and Ohio. We have a $345 flat rate delivery fee to anywhere in the Continental U.S.
Darren Vogt is good friends with the Crockett family, and several years ago they purchased a couple dogs for him to partner with Crockett Doodles and raise mini Goldendoodles in the San Francisco area of California. Some of our key friends at a great Christian Camp near Lake Tahoe are also partner homes. We're also working with two pastors’ families in Chico, CA. Crockett Doodles plans to have mini Goldendoodles, mini Aussiedoodles, and Cavapoos raised in California. As we add more California partner homes, we hope to expand our breed offering in CA. We’ve also been approached by families in Seattle, Portland, Phoenix, Kansas City, Oklahoma City, and even New Orleans. We have a thorough inspection process, so stay tuned. In the meantime, we’ll hand deliver a pup to anywhere in the continental U.S. for a $345 flat fee. In the future we're hoping to have pick up locations at the homes of friends of ours in New Hampshire, Utah, Texas, Louisiana, and Arizona. It takes a few years before the first litter is ready at these guardian homes, so stay tuned if you're from those areas. Remember we can hand deliver a pup to anywhere in the continental U.S. for $345 a pup (any additional pup is $100 a pup); or 70 cents a mile for those who live close to a pickup location.